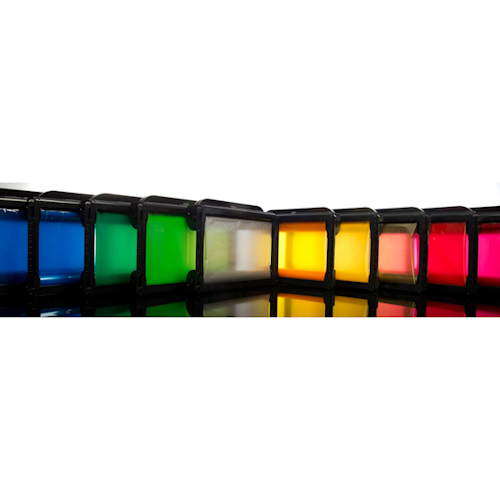 GerberColor Spot (GCS) Series Foils are durable, dimensionally stable, resin-based, pigmented foils designed for use with the GERBER EDGE®, and GERBER EDGE 2® thermal transfer printing systems, in conjunction with EDGE READY™ materials. GCS Foils produce printed graphics capable of withstanding severe weather and handling conditions in both commercial and industrial applications. GCS Foils are compatible with EDGE READY materials. GCS Foils are not recommended for use with Heat Transfer Paper. Gerber standard tack application tape is required for all graphics produced with Gerber Digital Color Printing Systems. Printed graphics should be allowed to cure for 15 minutes prior to the application of transfer tape.